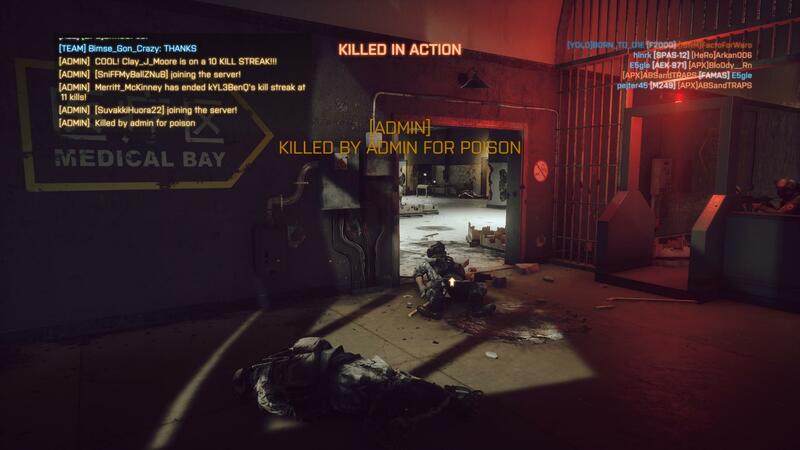 Hi, I want to report a bad admin for enforcing rules that don't exist, he killed me for ''poison'' after one certain player kept complaining about me using Poison arrow tips, (in chat..) but the !rules don't list this so-called rule. That regular player said it was a rule that just wasn't added, you can imagine that sounds untrustworthy from a random player's mouth, that admin didnt warn me although I called for an admin in chat to ask if it was true, the first I noticed about any admin was the adminkill. I still am convinced there's no such rule as ''dont use poison bow'' but that the player complaining had an admin friend and that the guy simply hates it. So i want to report this admin after you found out who it was, and possibly clarity about if it's a nonexistent ''rule'' for which adminkilling/enforcement automatically is admin power abuse, or if its true. Hello, thank you for reminding us that we did not make a ban on poisonous arrows in the server rules, now this error is fixed, and after the server restart in the rules this ban will appear.